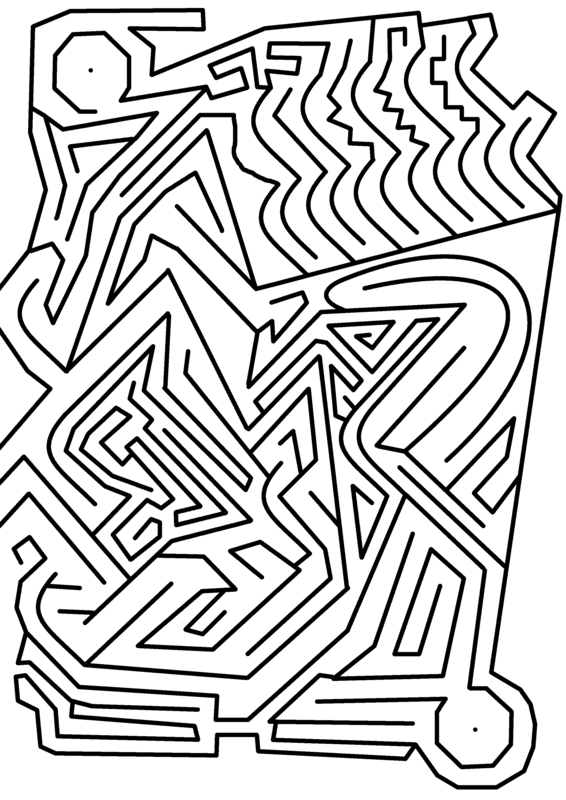 This maze features nice curvy lines made with bezier curves and then some straight lines which make the maze just a bit trickier to solve. Travel on white paths from dot to dot in upper left and lower right corners. Using the same start, end, and initial lines, I drew this while listening to Andreas M. Antonopoulos educate the Senate of Canada about Bitcoin. Start at the start and end at the end! 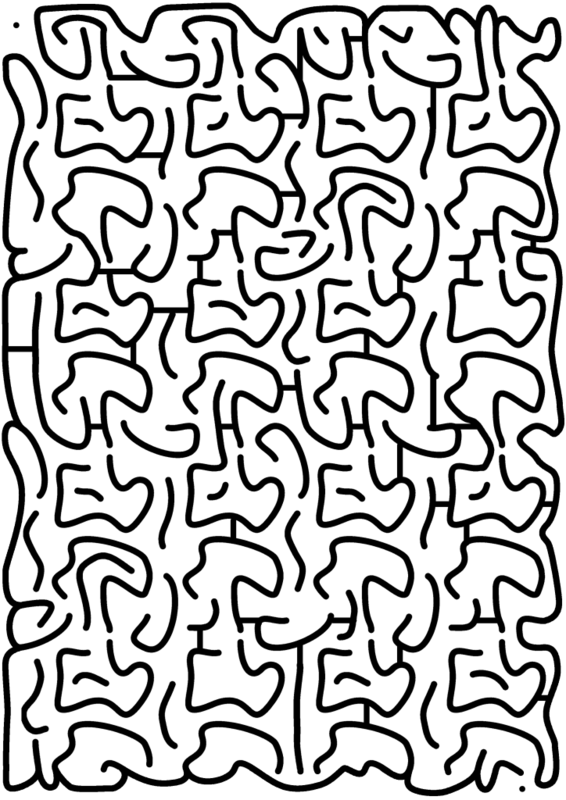 Free mazes in your inbox!